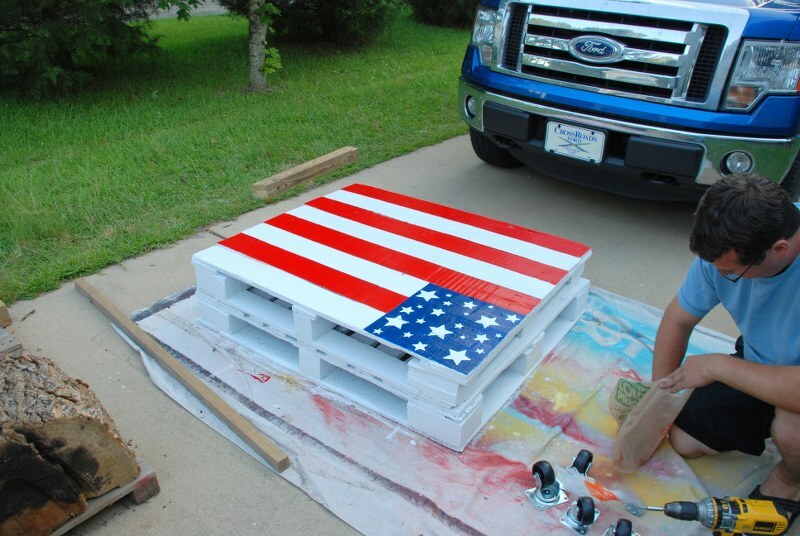 Awesome pallet coffee table DIY that you can tackle this weekend, and it will only cost you $50! This summer I am slowly making over my screened back porch. One of the projects I’ve been wanting to do for a while is make a coffee table out of pallets. I absolutely love the way it turned out! 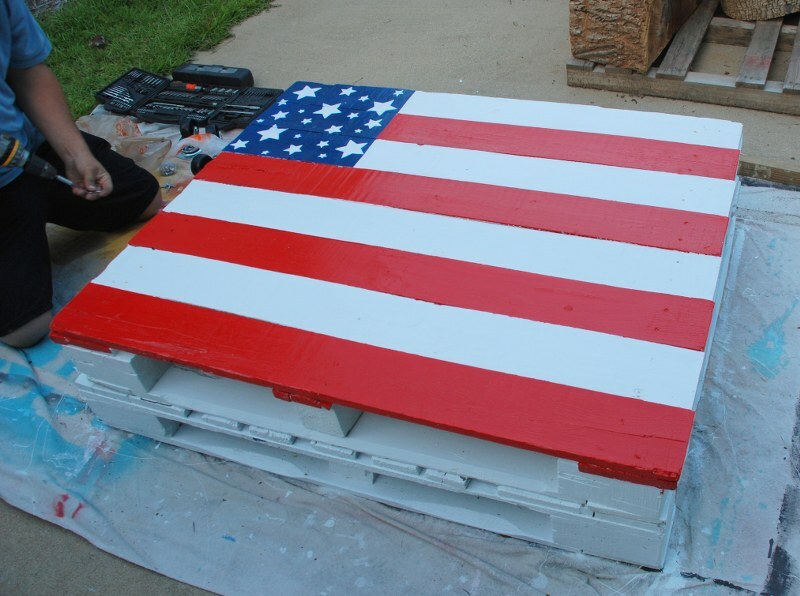 I painted mine kinda like a folk art flag, but you could do a solid color, or any pattern you like. I dug through quite a lot to find a pallet with a snug slatted top(no spacing between boards), but I’ve seen regular spaced pallets painted with patterns as well before and they are fabulous as well! 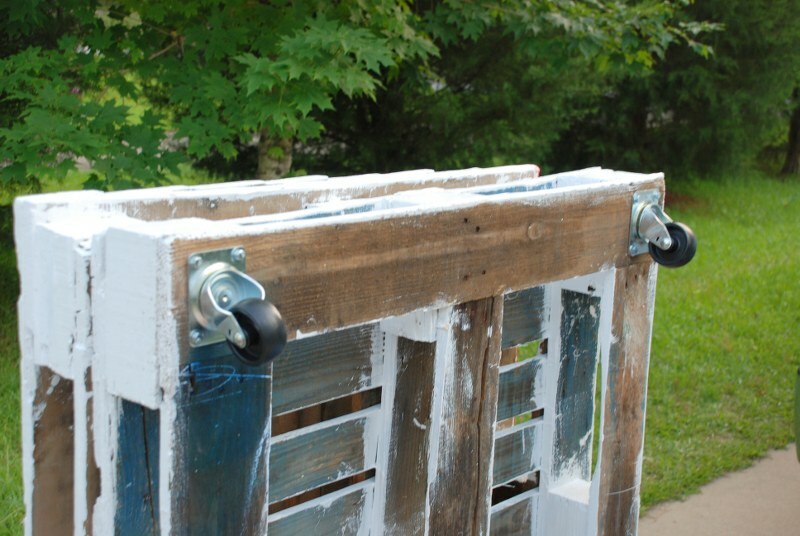 And the best thing about this diy is it cost me less than $50! 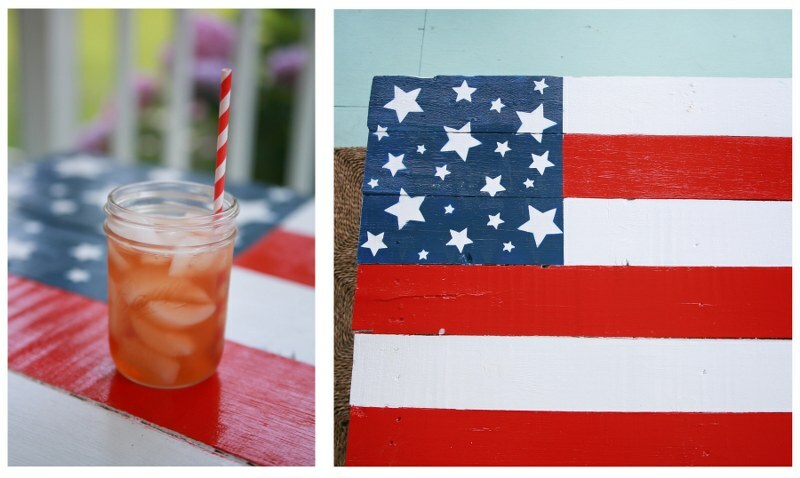 This is a relatively easy DIY, and can be done in a day! 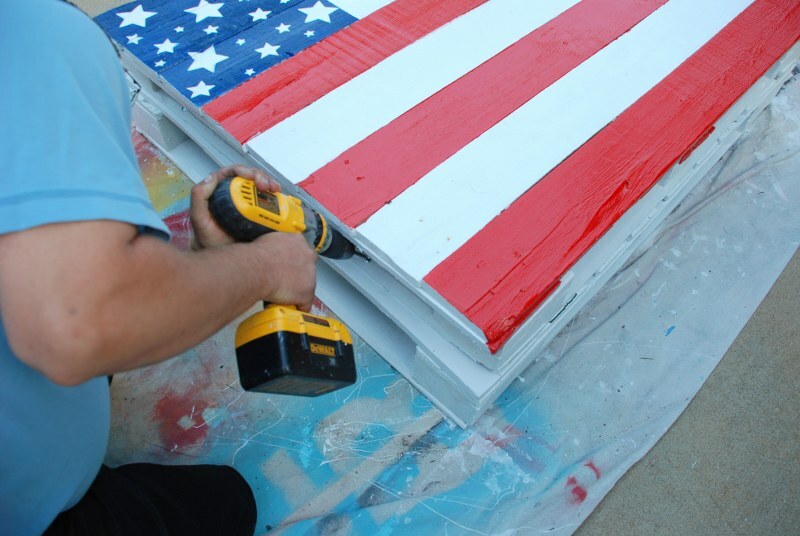 Step 1: Clean pallets & Paint- if you have a pressure washer that’s great to use, but if not, spray with the hose and use a scrub brush to remove dirt and grime. 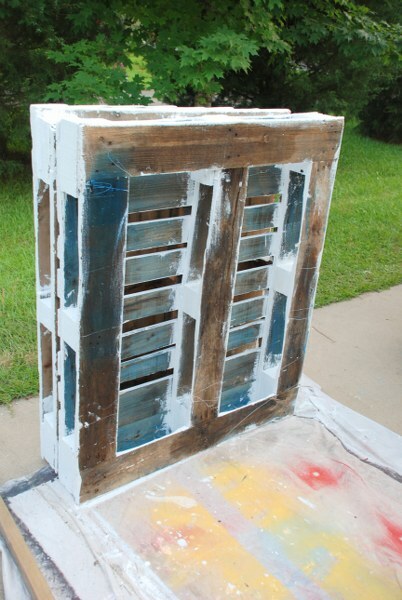 Once the pallets are dry paint with a coat of primer. 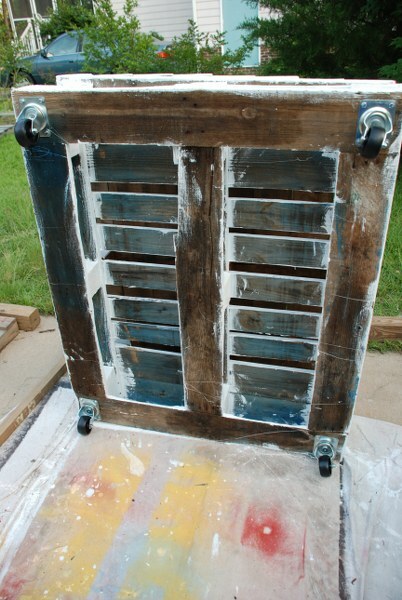 Once primer dries, paint the pallets the color(s) of your choice. Step 2: Attach pallets together- Stack the two pallets, and play with them until you have it like you like it. 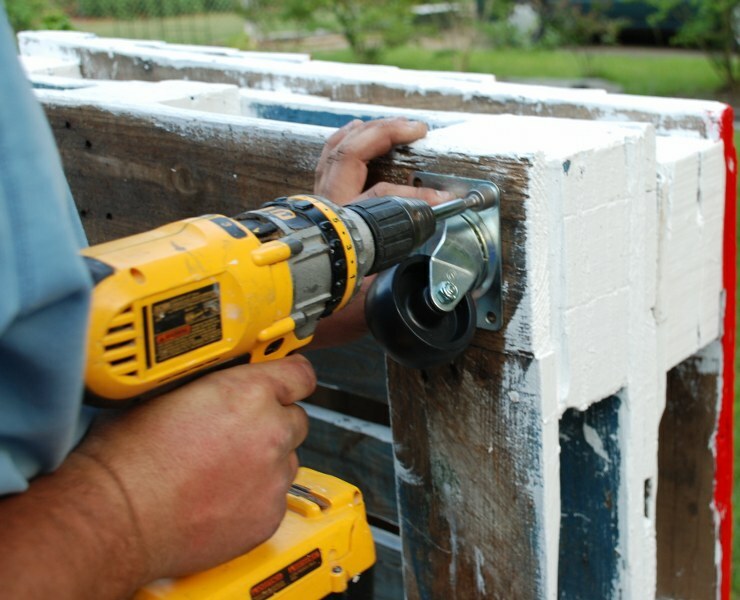 Once you have your pallets stacked just right, use the wood screws to screw the two pallets together, two on each side, screwed into the bottom of the top pallets to the top of the bottom pallet. Step 3: Attach wheels- Lift table up on its side. Place wheels about 1/2 inchish away even from the corner. 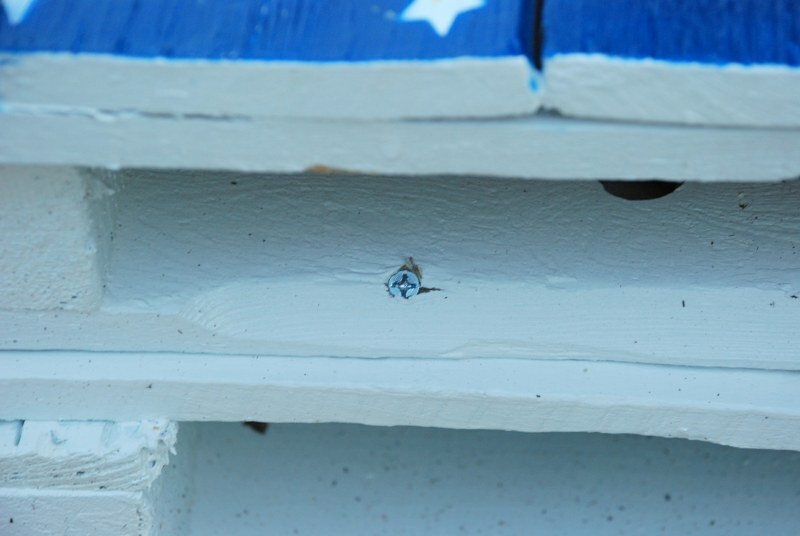 If you have a bit to put on your drill for screwing the lag screws in, great, if not then drill pilot holes and then use a ratchet for the size of your screws to screw in the screws and attach wheels to bottom. I hope you all enjoy this DIY project. Let me know if you have any questions. very cool … I’d love to try this! I love this. I really need a new coffee table, and this looks super easy! I love this table. Thank you for sharing. My wife is having me make these now, thanks for the idea. Customers should also know the local produce stand or caterers or BBQ guys have a ton of these just sitting around. Oh I absolutely LOVE LOVE LOVE this! 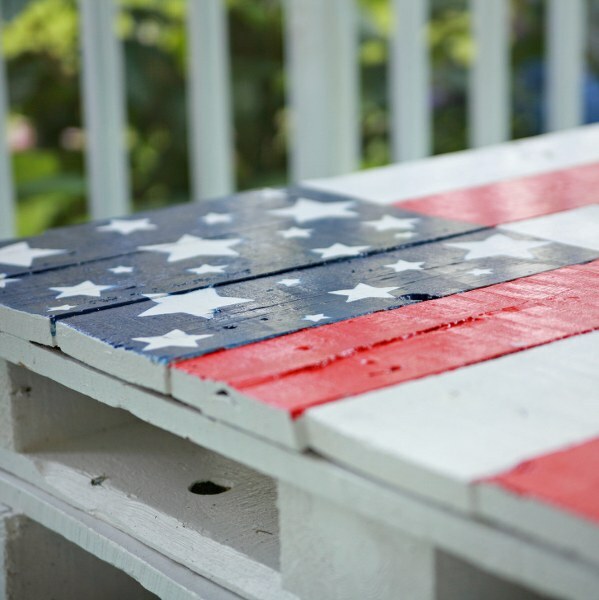 I always see rustic wooden pallet coffee tables DIY tutorials, but never an American Flag! I cannot wait to get on this right away! Thanks for sharing!